The Education Resources Information Center (ERIC), sponsored by the Institute of Education Sciences (IES) of the U.S. Department of Education, produces the world's premier database of journal and non-journal education literature. 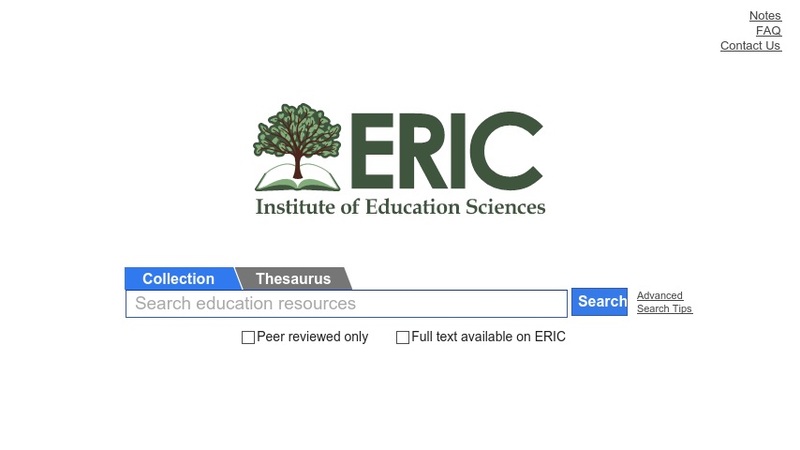 The ERIC online system provides the public with a centralized ERIC Web site for searching the ERIC bibliographic database of more than 1.1 million citations going back to 1966. More than 107,000 full-text non-journal documents (issued 1993-2004), previously available through fee-based services only, are now available for free. ERIC is moving forward with its modernization program, and has begun acquiring materials for addition to the database.